Here are the latest playoff odds after week 3. We are still seeing some large swings from week to week. These playoff predictions are still based on the preseason power ratings. We are still at least two weeks away from being able to have reliable power ratings based on games actually played. Don’t read too much into these yet. Column to appear later in the week. Feel free to leave feedback, questions, or ideas for future columns. 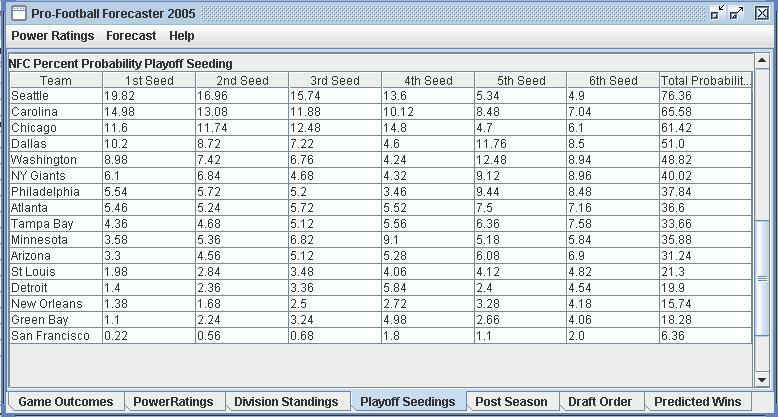 Or if you’d like to contribute a column about the playoff race for your favorite team, let me know. Finally, if you aren’t running the software yourself, doing some detailed analysis for your own team, your missing 80% of the fun. 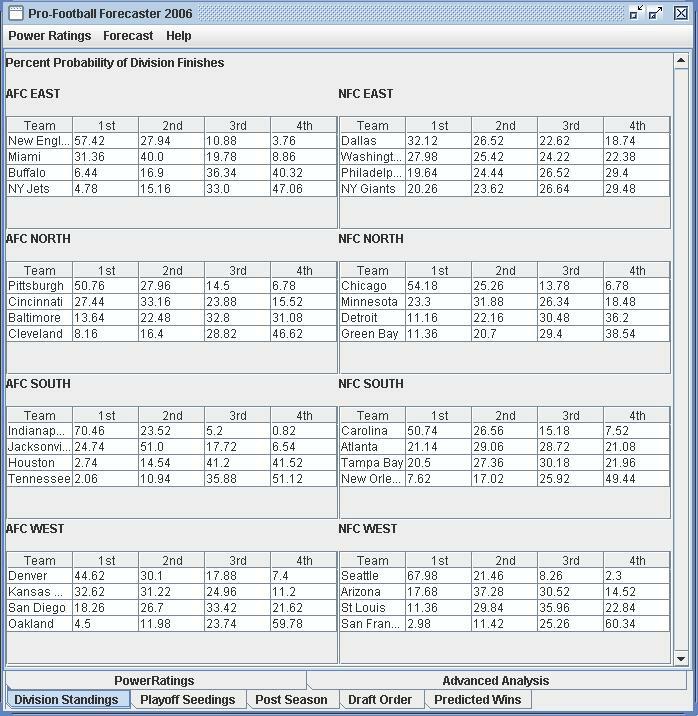 For the next several weeks, the predictions will be based on the pre-season power ratings. Somewhere between week 4 and week 6 I’ll switch over to power ratings caluclated from the actual outcomes of games. This article was origially posted on the main site on July 24. I’m going to keep an archive of all the predictions in this blog. 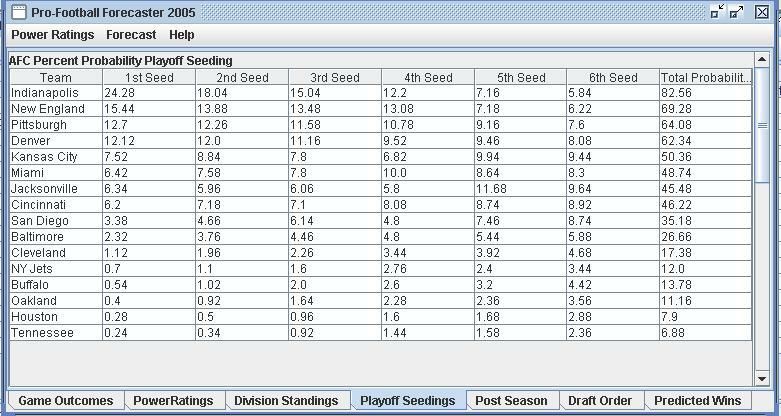 You are currently browsing the NFL playoff races and other musings blog archives for September, 2006.